Click Play Button to Listen the Audio. Click here to Listen Chapter 4. 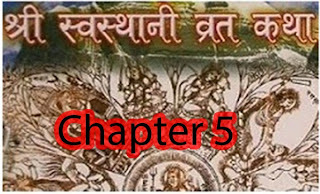 Click here to Listen Chapter 6. Shree Swasthani Brata Katha is a very popular ritual observed in Nepal in the Poush month (January -- February) during winter. Goddess Sri Swasthani, known to grant wishes of her devotees, is worshiped for the whole month of Poush. The Swasthani Brat Katha (story) is recited everyday. The month long telling of the tales are dedicated to the Goddess and the stories that are mainly narrated are those of Swasthani Devi, Lord Shiva other Gods. © Manko Aawaz 2017 | Report Abuse | Copyright.